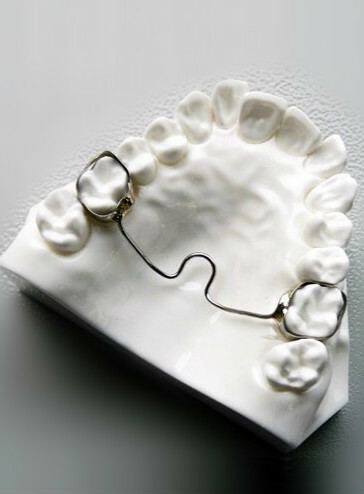 is a custom-made device installed in the space of a pre-maturely lost baby tooth and to maintain that space to guide the permanent tooth to come in naturally. 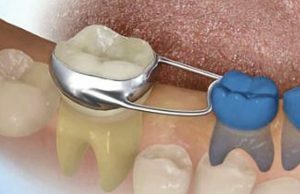 This device is also used to stop the shifting of other teeth into the space created by the missing tooth. 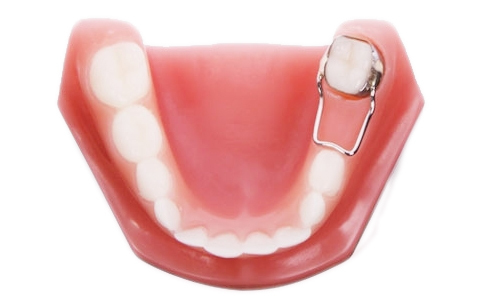 When the permanent tooth is erupting, the spacer should be dislodged by the permanent tooth. In some occurrences where the tooth does not dislodge the spacer, the dentist can very easily remove the spacer as needed. Another benefit of space maintainers are that they can potentially help lessen the need of possible orthodontic treatment.